Shopping online for a few gadgets I would need before I leave made it very clear that it was not a simple task to travel for an extended period of time as some of our american electronics & electrics only work on 110v where as in most other part of our big blue planet, the 220v standard is used. But it’s not just as simple as that either. So I figured i’d type in the basics of my findings here. Now as far as travel goes and is concerned, most of you will just get a universal adapter that is huge and has most plugs on it. The catch is, theses do not transform the electricity standard. See some countries like the U.S and Canada (some places in Japan too) use 110 volts lines for everything excepting big appliances (stove, oven etc). While the most part of the rest of the world uses 220 volts lines all around. That means that while that adapter will let you plug your devices in, it might also spark and kill your plugged electronic device, maybe catch fire, and in a domino effect make you responsible for the demise of your whole neighborhood. This or just that horrid burnt plastic smell. There is also the issue of amperage. 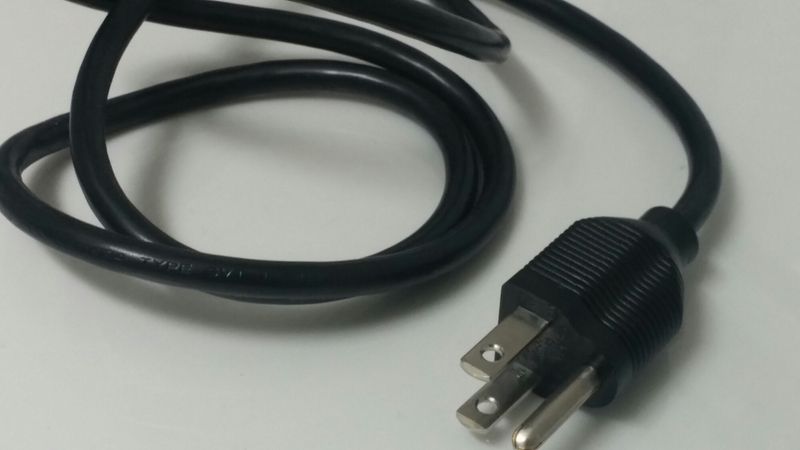 While a lot of things won’t matter, such as most laptops, usb chargers won’t connect in the outlet of another country, will still be able to transform the current. Laptop chargers do most current and just come with different cables depending on the country. USB chargers, well, are usb, and USB is a standard 5v universal plug, the only difference is some usb plugs do 0.5 amp, 1 amp or 2 amp. The faster your charger is rated, the faster it will charge compatible devices. All you need is an adapter. For the rest you will need a transformer. Which are usually not recommended as the current from a cheap travel transformer will be unstable and you are trusting whatever X-Y cheap manufacture of cheaper products with a massive fire hazard. It is always recommended to just get rid of the product / leave it home and buy one locally one you have reached destination. The other option is to just look at the specs of the power adapter of the device if it is external and buy another compatible at destination. Amazon has a website for most countries. Amazon.de for Germany, amazon.fr for France and they have a knack for carrying most standard power adapters. So, leave your fire hazard of a hair dryer home and buy a new one once you have reached your destination. Theses devices have heating coils and use a ton of electricity, which means a ton more headroom for smoke and fire. Last tip for us Americans & Canadians travelling. If you have multiple gadgets you need to convert the plug. It may come to mind to buy a power strip and just one adapter right ? NOT !! A power bar while not caring for 110v or 220v will have a surge protector that will absolutely blow up if you hook it up to a current twice as strong or at the very least go pop and not work. Also, most of them have power LED indicators that will short or pop too. BUT, if you know how to shop, you can definitely get yourself a power strip and use it if it has no nifty lights gadget things and no surge protection. They are pretty hard to come by or at least get the information as most consumers want something WITH surge protection. But if you find one without, this one for instance, feel safe to hook it up on 220v through a plug adapter. Just remember that the juice going through is 220v and anything only rated for 110v will probably break if hooked up to it.